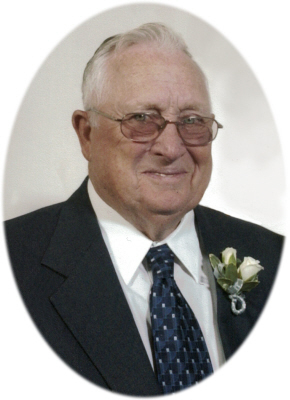 Gerald Leroy O'Bryant, age 86, of St. Louis, MI, passed away surrounded by his family Monday, March 25, 2019, at the family farm where he was born and lived all of his life. Funeral Services will be held at Smith Family Funeral Homes, St. Louis, MI, on Friday, March 29, 2019 at 11:00 A.M., with Mr. Denny Dennis officiating. Burial will follow at Riverside Cemetery, Alma, MI. Visitation will be held on Thursday, March 28, 2019 from 2-8 P.M. with family present from 2-4 & 6-8 P.M. at the funeral home with a Masonic Service at 7:00 P.M.
Gerald was born in St. Louis, MI on December 28, 1932, the son of William and Ethel (Risk) O'Bryant. He attended St. Louis Public Schools. Gerald married Barbara Jane Draper on October 19, 1952 at Parkside Assembly of God in St. Louis, MI. After nearly 66 years of marriage, Barbara passed away on October 1, 2018. Gerald spent his life farming the family farm established in 1929 by his father. He worked for Michigan Chemical for 25 years. He was a lifetime member of Masonic Lodge #406, Breckenridge, MI and Coe Church of Christ. Gerald was a family man; the rock of his family. He was a "fixer" - finding ways to help anyone in need. Gerald loved all children, especially babies. He always had "big nickels" in his pocket for them. Gerald loved to fish and hunt. He enjoyed taking his quad all around the neighborhood. Gerald loved to travel. He was a daredevil, riding a zip-line in Hawaii at 75 years young. Gerald enjoyed life and his family all have great memories of life on the farm. Gerald is survived by his 3 daughters: Belinda Deemter of Mt. Pleasant, MI; Deborah Leonard of St. Louis, MI; Kay (Kenneth) Stouffer of Comstock Park, MI; 9 grandchildren; 16 great-grandchildren; one great-great granddaughter; and one brother Ron (Mary Jo) O'Bryant. He was preceded in death by his parents, wife Barbara (2018), brother Billy "Boy" O'Bryant Jr. and brother Claude Hulings. Memorials may be made to Coe Church of Christ St. Louis, MI. Online condolences for the family may be made at www.smithfamilyfuneralhomes.com. The family is being served by Smith Family Funeral Homes, St. Louis, MI.